Ken Davidson Garage Door Company has been providing excellent garage door repair since this city was incorporated. For over 54 years I have been privileged to repair and install garage doors in the IE. It has been a labor of love for me. I am the kind of guy that loves to figure out a problem and working in this field has given me a lifetime of doing what I love. With our emergency garage door repair services, I can quickly deal with all your issues. Our emergency garage door repair services are easily accessible. All you need to do is dial my number and speak to me. In the event your door comes off track, call a professional from Ken Davidson Garage Doors Repair Upland. Before attempting to use the door again. Doing so could be the difference between being able to repair or needing to replace your garage door. Using your garage door in this condition could cause serious additional damage to your door. In some cases, you can pull the door completely off the tracks and cause more damage to the door, ensuring your need to purchase a new door which will be hundreds of dollars more. We proudly install First United Doors. By using our emergency garage door repair services, you can prevent injuries and worse damage to the garage door and opener. We do a free 38 point safety check which includes lubrication and adjustment, on each service call we go out on. maintenance for you, make sure that it include a safety check, which will insure that the door is safe for use. To read more about the maintenance process, click here. Every Overhead garage door will eventually stop working and going to need someone to repair it. The reasons for the problem are different, and they depend on the kind of door you own, how many year ago was the door installed, what brand of garage door and opener you are using, how often you maintain the door, how often you use the garage door, was it installed properly, is it exposed to sun and water and much more. So as you can see, there are many things to consider, when asking yourself: “Why did it break”? and repair the door for you. Since not all of us are garage doors experts, and not all of us understand the mechanism of the garage door, trying to fix the garage door by yourself can end with serious injuries. Do not try and do anything, such as forcing the garage door to open or close, unless you are sure that you know exactly what you are doing. We would like to share a story with you, about someone who tried to do a basic thing, such as disengage the motor, and found himself locked inside he’s garage. One of he’s springs broke, and since the spring system is what lift and lower the door, the opener couldn’t lift the door, and the door was stuck in half open position. So he went into the garage, and disengaged the opener. Now, what he did not know, is that besides preventing the garage door from going up, the opener was also preventing it from falling down, and when he disengaged the opener, the door fell down and locked him inside the garage. Luckily, no one was standing under the door, and he had he’s phone with him, so he called us and we came and rescued him. But the lesson was well learned – Let the experts deal with the problems. The Videos on YouTube make it look like an easy project to repair a garage door, and even replacing a torsion spring can seem like an easy project. YouTube is explaining how to replace the torsion spring for that garage door, and not for every garage door in the world, and we will say even more, even if you own exactly the same garage door as the one on YouTube, it still doesn’t mean that following the instruction will necessarily go as smooth as you think. Sometime. Contacting a garage door technician on time, can save you a lot of money. For example: One of the common reasons that stop a garage door from working is a broken spring. Now, if you stop using the door, and contact Ken Davidson Garage Doors, we will come and replace the broken spring. But, if you will ignore the problem and try to use the door although the spring broke, it is just a matter of time before you will severely damage your motor, and now you will also need to repair the motor, or even replace it. that the battery is dead. Try to replace it, and it is still not working, contact us. The same goes for the Key Pad, if the Key Pad does not open the garage door, Try to replace the battery, if it is still not working, contact us and we will assist you. Looking for a fence repair in Brooklyn? Need someone to replace a broken or an old fence? Need a welder in Eastvale to repair your broken fence? We are here to help. We offer same day repair service for all kinds of fences in Eastvale: From wrought iron fence, through net fence to chain link fence, we can do it. We have the tools, the knowledge and the parts, to fix your fence today. The chain link fence is the fence which look like a metal net, and usually appear galvanized, and can be found in many locations in Eastvale. Although it isn’t as strong as the wrought iron fence, it is relatively easy to install and to remove and will be perfect to surround a property that need to be fenced ASAP. We install chain link fences in Eastvale, and we will be happy to install a fence for you. The wrought iron fences are strong, reliable, and can appear in many shapes and designs, so each one can find the right design which will fit their house, their store, or any other place they wish to fence. As long as it was installed correctly, a wrought iron fence can last for many years, and will be the right choice for someone who is interested in a strong and reliable fence. The benefits of wrought iron fences are beauty (since you can choose your own design), sturdy and of course better security, to protect your home or your business. If you are looking for a fence repair in Eastvale, contact us, and get your fence repaired today. Need a welder in Eastvale to perform an iron work for you? We can help! We offer same day welding service in Eastvale, and we will be happy to assist you with your next welding service. We carry with us tools and fence parts, in order to assist you get your fence or gate repaired today. Our welders are professional, who competed hundreds of welding projects in Eastvale, and will be able to assist you with your welding needs. We offer solutions for large and small projects in still, and we would like to share that knowledge with you. Some ask us for the cheapest fence, and some ask for the cheapest gate. And to that we can only answer: We do not install cheap doors. customers who specifically asked for that. But when the parts did not last, the calls and the complaining started, and now it is too late to start explaining that we delivered what the customer asked. So we learned, it is better to supply quality, than to put the name of Ken Davidson Garage Doors on a cheap installation. If you will search, you will find companies that will install cheap gates and doors for you, for process that will probably be cheaper than our prices. But if you want quality, and you want a gate or fence that will stay standing even after 20 years, you should contact us. We are not the only gate supplier in Eastvale, and we appreciate the fact that you choose to use our services. For any questions, or free phone consultation, whether it is a roll up gate, steel fence or a new garage door, please contact us. Below we present you with some of the common garage door problems that we face almost on a daily bases. Please note, the answers written bellow are just a suggestion, and cannot replace the opinion if a trained garage door tech who come to your place and inspect the door. Question: The motorized garage door is closing half way, and then reversing to open position. Answer: Most likely that you have a problem with your safety sensors. If there is an object blocking the invisible laser beam between the sensors, if your safety sensors aren’t aligned and facing each other, or if the cable which connect the sensors to the garage door motor is disconnected, the motor won’t close the door. Make sure that no one accidentally moved one of the sensors, and that they are facing each other. If the problem is not solved by adjusting the sensors, please contact us, and we will repair it for you. Question: The garage door is only open half way and stop, what is wrong with it? Answer: There are few possibilities that can lead to that, but the most common one is a broken spring, or a spring that need to be adjust. The garage door spring is under a lot of tension, and the breaking spring, and the garage door itself can be dangerous, and should not be used until a trained garage door repairman will replace the broken spring, or adjust the existing one. We offer same day garage door repair Eastvale, including broken garage door spring repair. Please note, a broken garage door, whether it is a broken spring, a noisy garage door or a broken opener should not be operate, and should be inspected and repaired by a trained repairman. Using a broken garage door, will probably lead to a bigger problem, and can even be dangerous. 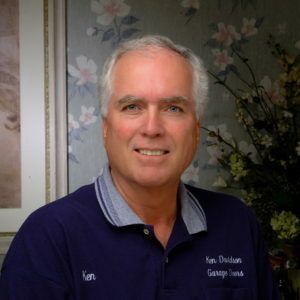 We gathered some frequently asked questions, regarding Ken Davidson Garage Doors, and regarding garage doors repair, maintenance, and installation. It is important to clear, that none of the information that appear in this page, can replace the opinion of a garage door contractor, that came to your place, inspect the door, and use he’s experience to maintain or to fix a broken garage door. Ken Davidson Garage Doors specialize in all kinds of gate repair and installation in Eastvale. From commercial roll up gates, to a residential sliding gate, we will be there to help. We have the experience to fix almost every gate problem, or to install all kinds of gates. No matter if your rolling gate spring is broken, or your overhead door need a tune up, we can do it. All you need to do, is to contact us, and let the pro deal with the problems. There are endless gates models and designs. Some need to provide security, and keep the uninvited outside, and some add decoration to the entrance where they are located. Some gates need to be massive and strong, and some need to be light, and need to blend into the area. But all of them have one thing in common, they all need to be strong, and to work whenever they are needed. The key for a good gate, start from the installation, if you will use the services of a good and reliable rolling gate contractor, and if that contractor use high quality parts, there is no reason, as long as the get is being maintained on time, why this gate won’t work in a perfect way for many years to come. satisfied customers, that can testify, that when it come to gates services in Eastvale, Ken Davidson Garage Doors is the answer. the repair can cost you more money, and will require more time than it could, if you would have contact Ken Davidson Garage Doors on time. You can hurt yourself and get injured. The second thing that can happen when an inexperienced handyman decide to try and fix the broken rolling gate, and it can be a roll up door repair in Eastvale, or overhead door gate in Eastvale, and when you do not fully understand the way rolling gates in Eastvale operates, or if you do not have the tools for the job, or lack of knowledge, you can easily do something you shouldn’t, and the gate can collapse and hurt you. same day service, you do not have to worry, since we will fix your steel gate today. We can say it over and over again, and it will never be enough, so we will write it here: If you would like your rolling gate or roll up gate in Eastvale to keep moving like it does, maintain the gate on time, and make sure it will continue to serve you. You will amazed from how much difference some grease and small tuning can make. Do not wait until it will be too late, and you will need roll up gate repairs in Eastvale. Make sure you use a professional rolling gate company to maintain your roll up gate, and to inspect it. spring or if your gate is out of the tracks, or if the operator is damaged, greasing the steel gate will not make a difference. You will need a roll up gate specialist to fix the gate, and only once the repair was completed, he will be able to grease the gate for you. If you are asking yourself “who can fix rolling gates in Eastvale”? You do not need to wonder anymore. 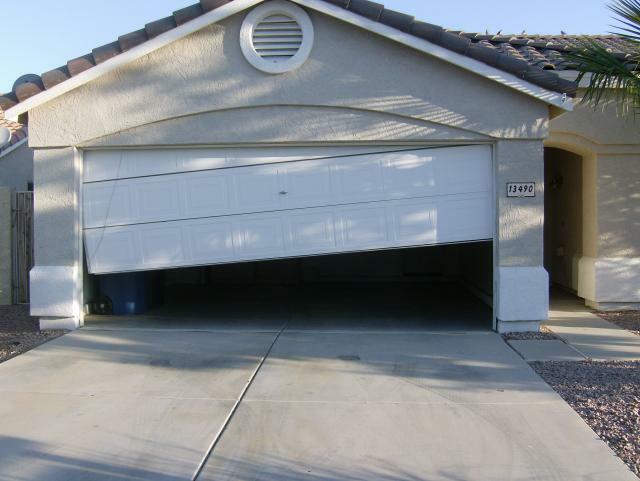 Ken Davidson Garage Doors provides all kinds of rolling gates and roll up doors repairs and installation in Eastvale. Although we are located in Eastvale, we service all Eastvale, and if you need garage door repair in the Eastvale, or a roll up door repair in Eastvale, we can help. Rolling gates repairs in Eastvale is what we specialize in, and we are always ready to provide our service.